Us Canadian's who use an iPhone or iPod Touch might have found it less than efficient not having a dot ca option in Safari when entering web addresses. Get into International Keyboards and add French (Canada). Settings> General> Keyboard> International Keyboards> French (Canada). And that's it. Now you'll have a dot ca option in Safari. Of course any francophone users out there already know this as they might have already added the French keyboard. 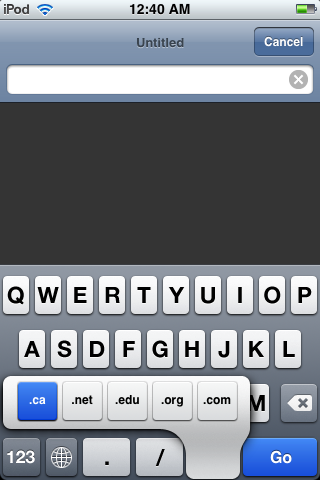 The same steps will work for other countries if you add that specific International Keyboard for the native language. 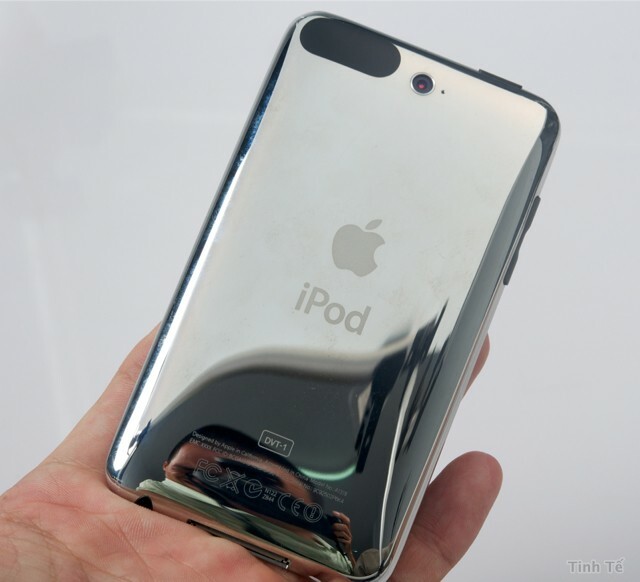 After all this time there will finnally be cut and paste on the iPhone / iPod Touch 3.0 Software release. All kidding aside, cut & paste while a basic need that users have been begging for (myself included) there are other features that will be included in the summer release. In App Purchases will let you buy more levels in games or add ons for applications for example. Hopefully it just won't be used to micro payment us to death. Landscape mode is now available in mail for typing. Not a killer point for me, but some people are dying for this. Push Notification Service. Apple can push information to your applications like AIM or hopefully FaceBook so you don't have to load said application to be updated on messages received. It's not background processes but it's better than nothing. Hopefully they will deliver on this feature, unlike last years promise of push notification that never materialized . The Maps application can now be integrated into other applications and developers can (with their own maps) enable turn by turn directions using the GPS. Peer to Peer Connectivity will let people play head to head games or share information in applications. Accessories will connect to the 30 pin connector or by Bluetooth and communicate with your iPhone / iPod Touch. First generation iPod Touch owners are out of luck since we do not have Bluetooth. Some very cool possiblites here and I can also see some very expensive hardware as well. iPod Library Access allows you to better control your music when inside a game or application. Up to now I've payed $30 for software upgrades to my iPod Touch (while they have been free for iPhone owners) and it looks like I'll be spending another $9.99 when version 3.0 is released and I'm fine with that I really am. Even paying $40 is still less than one month of service with Rogers for the iPhone and I would have payed at least $1350 over the past 15 months I've had my Touch. That doesn't mean I wouldn't want to have an iPhone if someone was willing to pay for it. When Steve released the first generation iPhone he had the great idea to recess the headphone jack so you would only use Apple headphones (or buy an adapter). 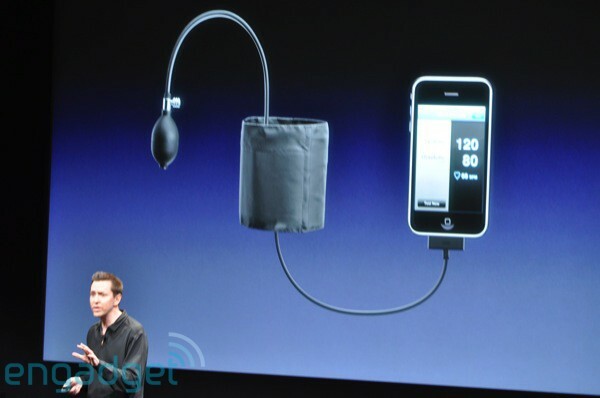 With the iPhone 3G release that issue was rectified as Steve decided to let the consumer use any kid of headphones with his phone. 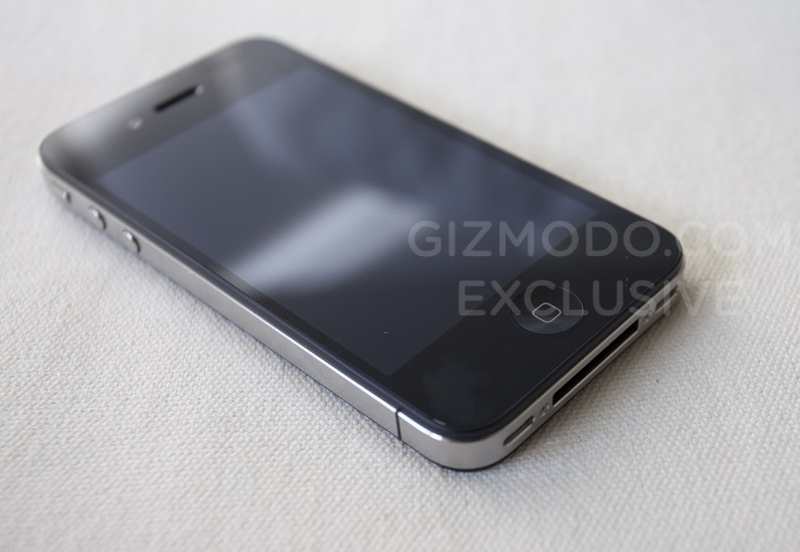 The 3G iPhone has been the only iPhone released in Canada to date (come on iPhone Nano). Sure you could have got a jailbroken one for a kings ransom but you lived in fear of it being bricked and no support from your carrier. So here's my question. 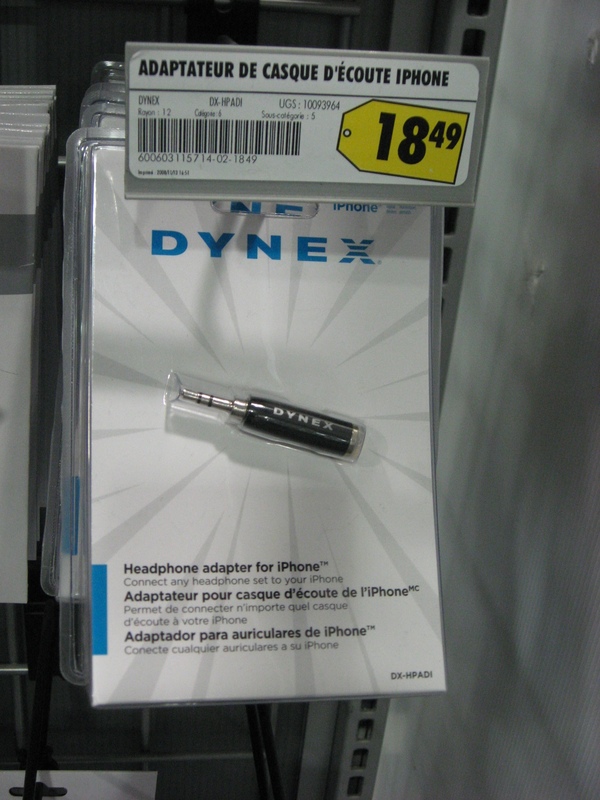 Since Best Buy is carrying the headphone adapter does that mean A) that there are so many jailbroken iPhones around that due to demand that they are now carrying them. 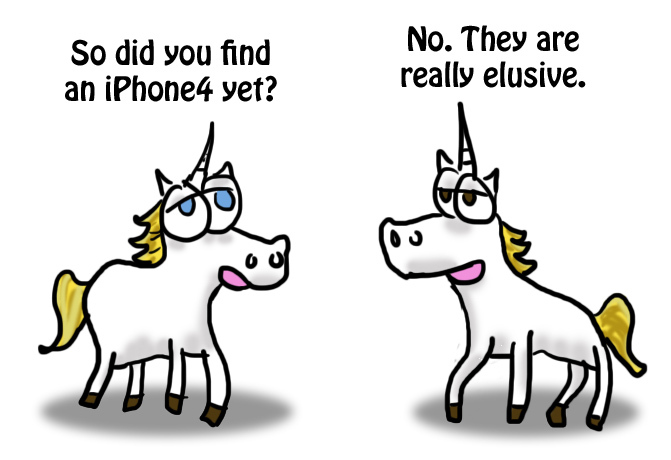 Or B) is it simply an inventory screw up and no one realized that the gen one iPhone was never released here. A little column A and a little column B perhaps? Does Bust Buy know that they are supporting the black market by carrying this? 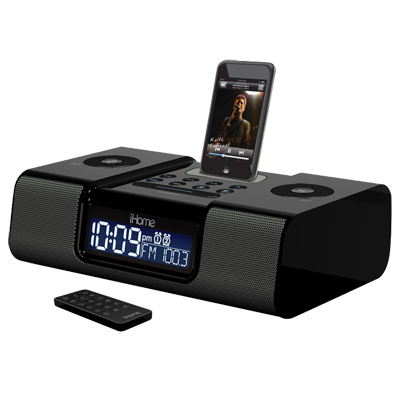 Or maybe I should just shut up and be happy that the lady at customer service gave me the online sales price ($79.99) for my new iHome iPod alarm clock. 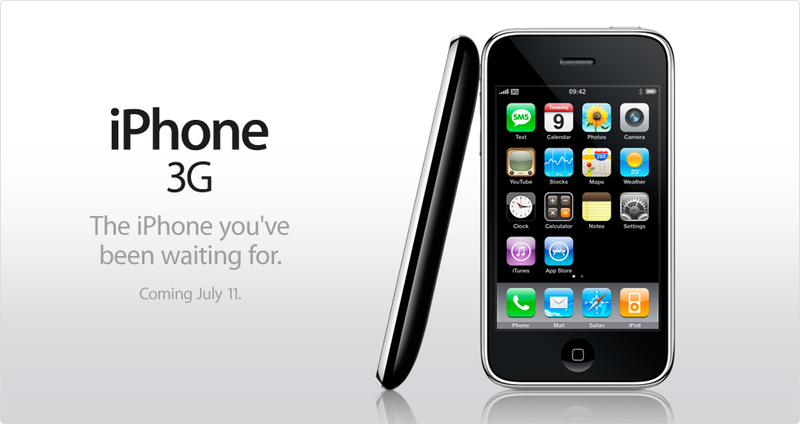 Apple is on fire with the new iPhone 3G. As if you didn't know. According to Steve Jobs the App Store has sold $30 million dollars worth of apps in it's first month with 60 million downloads (most of which were free apps). While Jobs is mute on how many iPhones have been sold some say 3 million iPhones have been sold in the first 30 days of it's launch. THE WORLD IS OUT OF IPHONES!!!!! And there are still line ups for Apple's little phone. 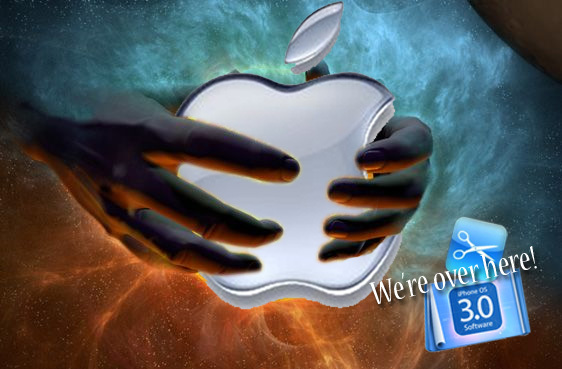 Yesterday evening there was a fire at the Cupertino headquaters of Apple. The three alarm fire took more than 60 firefighters to extinguish and was under control by 12:30am Wednesday morning. No one was injured (that's why I'm making light of the subject). 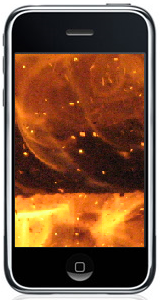 I'm just wondering if this fire could not have been started by the shere awesomeness and epic power of the new secret product that Apple will be unveiling this fall that was hinted at during the latest Apple earnings call? 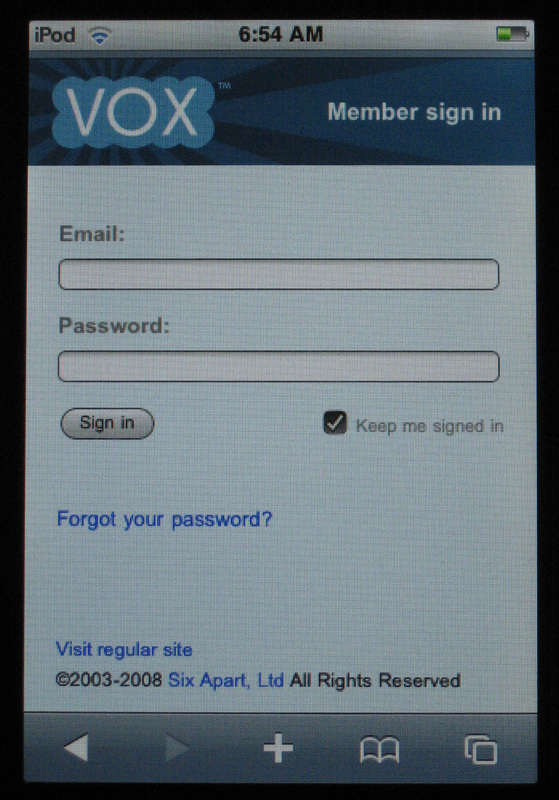 Much to my joy loging into VOX the other day I was greated with a iPhone / Touch sign in screen. 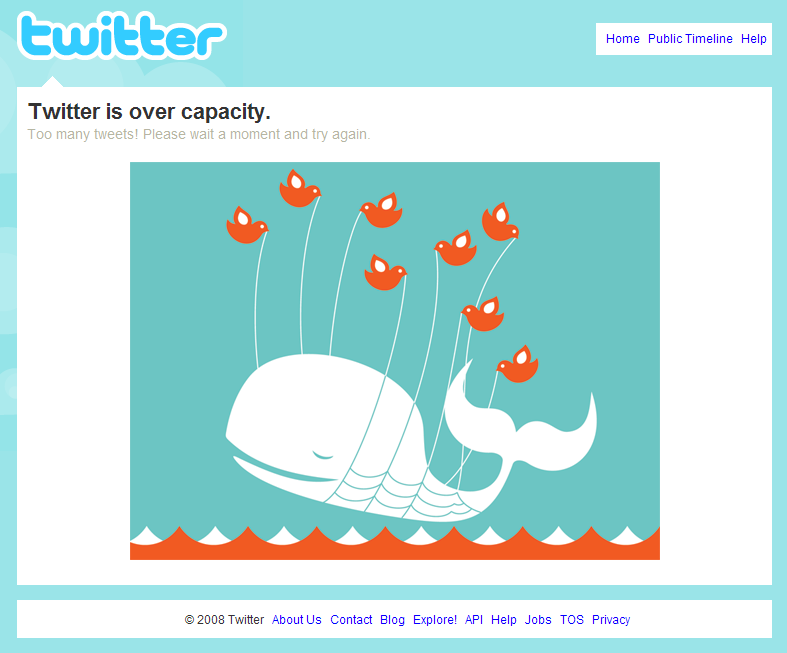 Unfortunately, still no compose page. 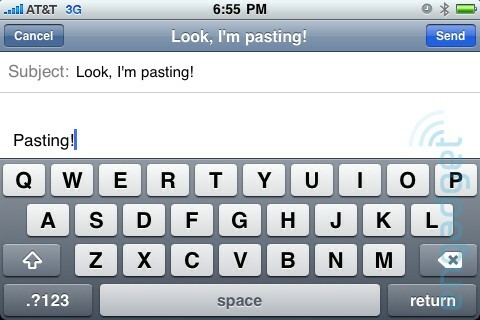 I hope for the iPhone App Store launch on July 11th and a VOX app from Six Apart. I have a good reason for being a few days late on this. I'm not going to got into specifics, there are others doing a much better job at that then me. 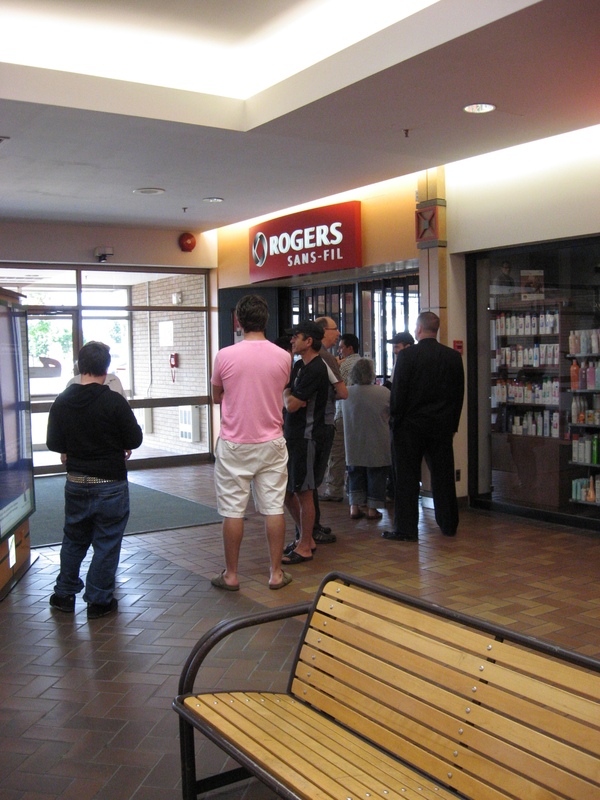 I just want to express my excitement that July 11th I could walk into a Rogers or Fido store and see (and hopefully touch) a real live iPhone. Now god only knows how much the phone will cost per month. Steve says the phone itself will start at $199 world wide. Last year I remember Amber Macarthur saying that there was no equivalent data plan in Canada for what AT&T was charging in the States and that it would be a couple a hundred dollars a month for such service here. Obviously this has been addressed but it still ain't going to be cheap. 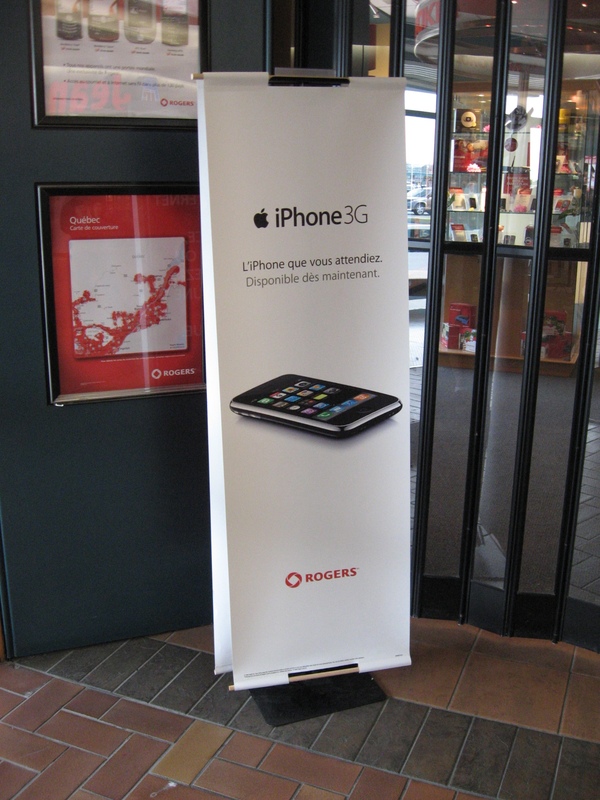 Well I still have a year and a half left on my Rogers contact to see if it's financially feasible to get one. And I certainly will be paying the $10 to upgrade for my iPod Touch, It still has some life in it.